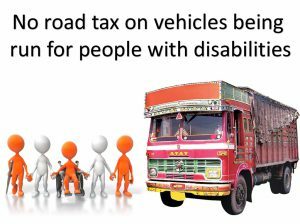 The UT administration exercised its powers under Section 13 of the Punjab Motor Vehicles Taxation Act, 1924, to issue these orders for Tax Exemption for people with disabilities. 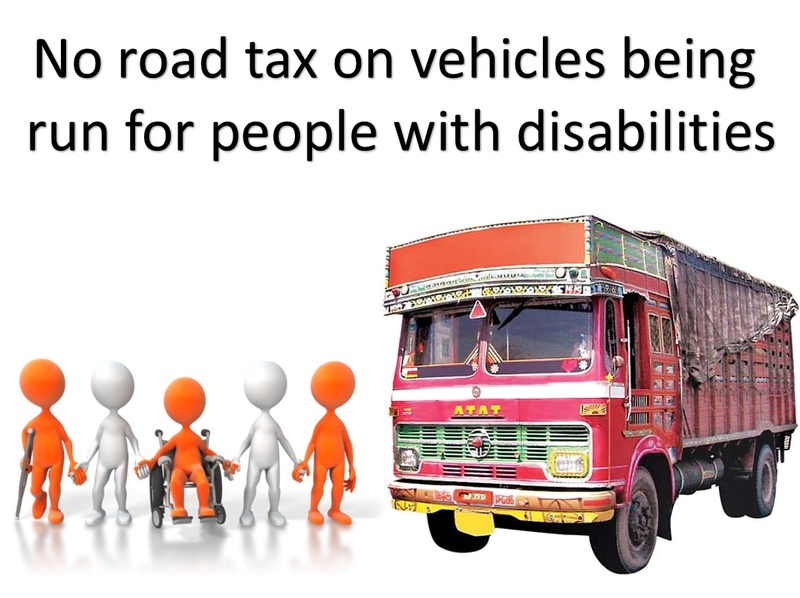 Chandigarh: Road Tax exemption has come to the people living with disabilities and will also apply to the vehicles being operated for them. The UT administration exercised its powers under Section 13 of the Punjab Motor Vehicles Taxation Act, 1924, to issue these orders for tax exemption. The orders, which will be read with the June 15, 2006, notification of the central ministry of home affairs, also cover vehicles that various social welfare institutions and local non-governmental organisations (NGOs) operate within the UT for the people living with disabilities. The UT transport department’s Road Tax Discount is 6% for vehicles costing below Rs 20 lakh and 8% for those costing more. The UT has clarified that the exemption is subject to the condition that the beneficiary institutions and organization are duly registered with the social welfare department under Section 51 of the Rights of Persons with Disabilities Act, 2016. The UT transport secretary will approve the exemption on case-to-case basis.